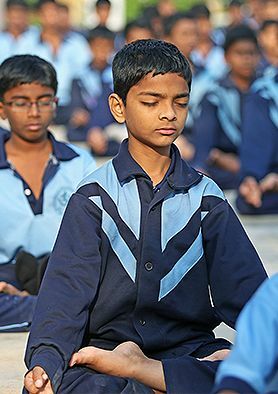 The students regularly make use of the sports infrastructure and indulge in sports like Basket ball, Volley Ball, Throw Ball, Skating, Kho Kho,etc. Apart from these sports, the also indulge in other sports like Badminton, Cricket, etc. 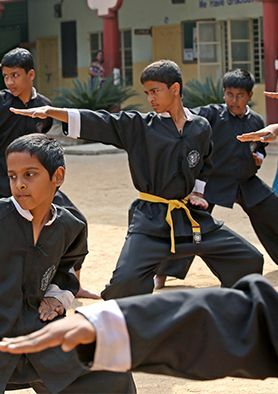 The students regularly have Karate sessions by a trained instructor to keep their body fit and to be able to defend themselves in times of danger. Dancing is a great way to stay fit and feel good. 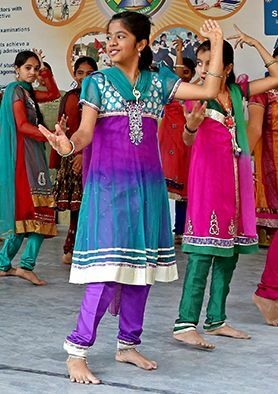 We have trained teachers to teach this art form to our students. “An early start hopefully carries throughout their life”. Jogging makes the blood move through the brain and the kids will be more ready for a healthy start at school. 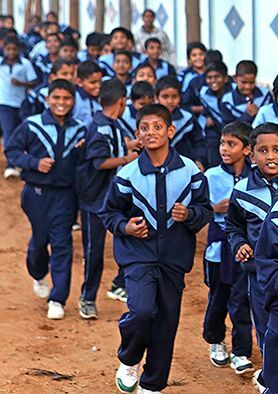 Hence, we have included jogging as a routine activity in the kids schedule. The Art and Craft class is a great medium for the students to express their creativity in the most raw form. Hence, it is crucial to indulge kids in this activity. A healthy body and a healthy mind are crucial to human existence. Yoga is a great way to reduce stress and to feel positive. It is therefore promoted as a regular activity in the school. Swimming builds endurance, muscle strength, and cardiovascular fitness. It is a healthy workout that can be done for a lifetime. We have professional swimming instructors to train our students, scheduled along with regular academic classes. Designed by: Artbeat Communications (P) Ltd.